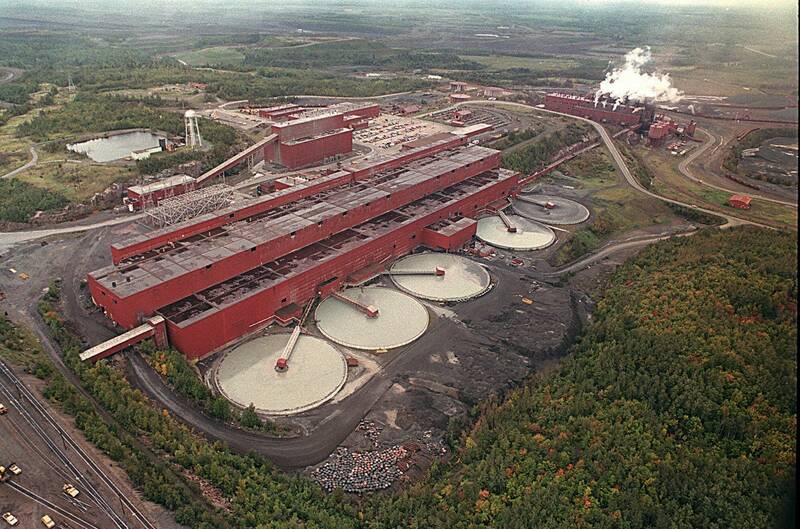 Several lawsuits filed in an effort to block an exchange of land for the proposed PolyMet copper-nickel mine can now move forward, after a federal judge lifted a hold on them this week. Last March, U.S. District Judge Joan Ericksen put a stay on four lawsuits that several environmental groups filed in early 2017. Those suits seek to overturn a land exchange between PolyMet and the U.S. Forest Service. The company needs the exchange to be able to dig its proposed open pit copper-nickel mine near Babbitt in northeastern Minnesota. The exchange has already been approved by the Forest Service, but opponents hope the suits will reverse that decision. The judge had put those lawsuits on hold while Congress considered legislation that would have ended the legal challenges to the exchange. That legislation passed the U.S. House of Representatives, but not the Senate, so the judge has decided the suits can now proceed. The environmental groups argue the land swap undervalues the 6,650 acres of federal land in the Superior National Forest that the U.S. government has traded with PolyMet in exchange for a similar amount of private land scattered throughout the region. The exchange settled a dispute between the company and the Forest Service over whether an open pit mine was permissible on Superior National Forest land. PolyMet argued its subsurface mineral rights gave it the ability to mine even within Forest Service land. The Forest Service decided it would be in the public interest to exchange the land, which made that parcel of formerly federal land private, rather than risk a court battle and the possibility of a mine being located on public land. In the exchange, the agency also acquired private lands that featured valuable lakeshore and wetlands. But environmental groups argue the government gave PolyMet a "sweetheart deal" by failing to account for the value of the minerals beneath the land it had traded away. The PolyMet project has been weaving through the permitting process for more than a decade, but has secured most of the regulatory approval it needs to break ground. The project is still waiting for a wetlands permit from the U.S. Army Corps of Engineers, but Minnesota has already approved the major permits the company needs to build its mine. Environmental groups and tribes have filed several challenges to try to block the project from moving forward. • Several environmental groups, along with the Fond du Lac Band of Lake Superior Chippewa, have asked the Minnesota Department of Natural Resources to reconsider its approval of PolyMet's dam safety permit, in light of a massive waste dam collapse at an iron ore mine in Brazil that has killed dozens and left hundreds more missing. The groups argue that PolyMet's massive proposed dam doesn't use the best available technology to protect the environment. They've already challenged the permit in the Minnesota Court of Appeals. PolyMet says it has added additional safety measures to strengthen the dam, and says the tailings basin was one of the most studied aspects of the project. • The Minnesota Court of Appeals this week approved requests from several groups and individuals that would like to file briefs of support — known as amicus briefs — in the legal challenges to PolyMet's permit to mine and dam safety permit. Among those who have requested to file briefs are former Minnesota Gov. Arne Carlson, the League of Women Voters and three northern Minnesota businesses.